We just got a slew of new books at our house from my daughter’s preschool Scholastic book order. 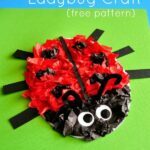 It’s been a fun week of discovering new books and several of them have inspired crafts. 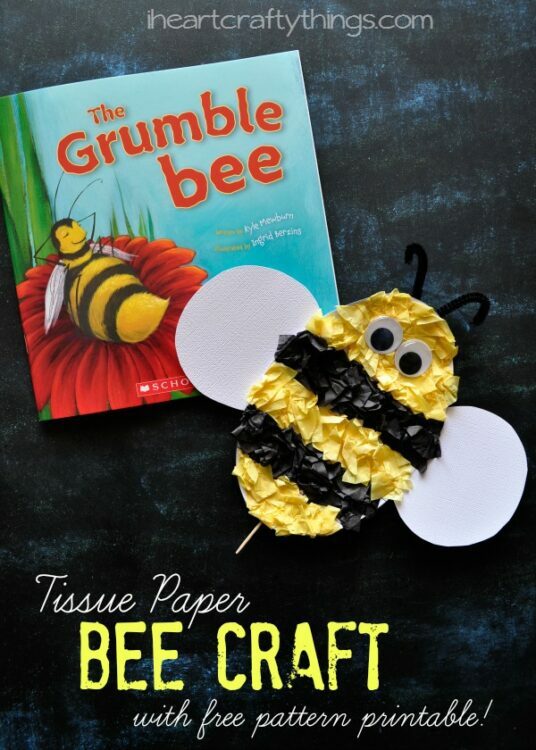 One of the first books we read is called The Grumble Bee and it inspired this cute Tissue Paper Bee Kids Craft. I’ve included a free pattern for you to make the project even more simple. 1. 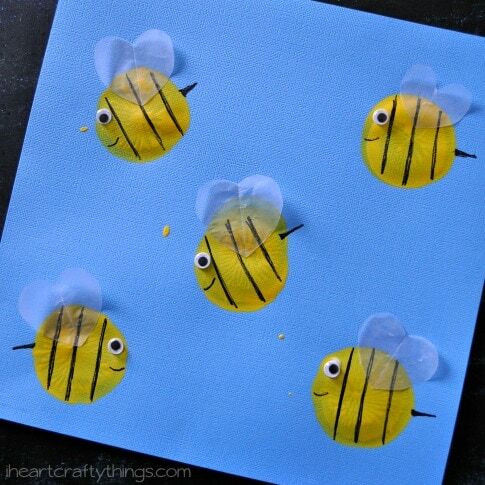 Start by printing and cutting out the Bee Pattern. 2. 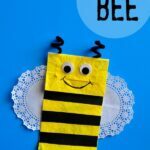 Cut tissue paper squares out of your yellow and black tissue paper. 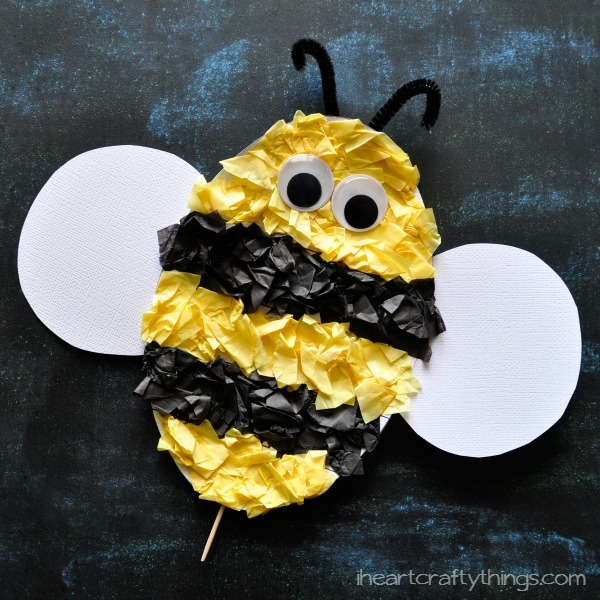 One section at a time, glue your tissue paper squares onto your Bee, making a yellow and black striped pattern. 3. Cut your pipe cleaner in half, bend it and curl the ends over to make antennae. Tape them to the back of your Bee. 5. 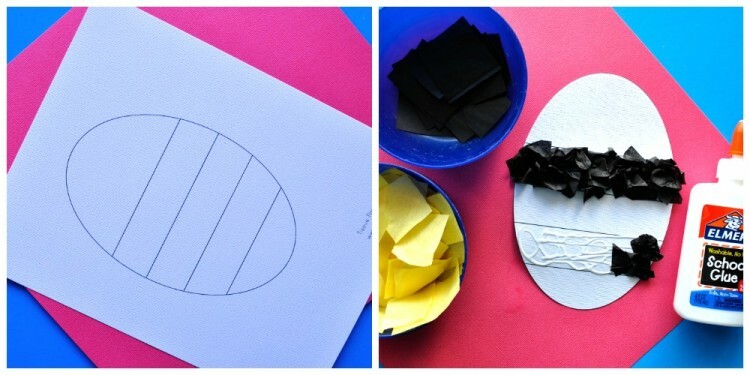 Cut circle wings out of your white cardstock paper and glue them to the back of your Bee. 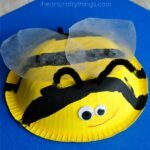 I didn’t make a pattern for these because I thought it would be fun to let kids create their own wings to personalize their Bee and because it doubles as great scissor cutting practice. 6. 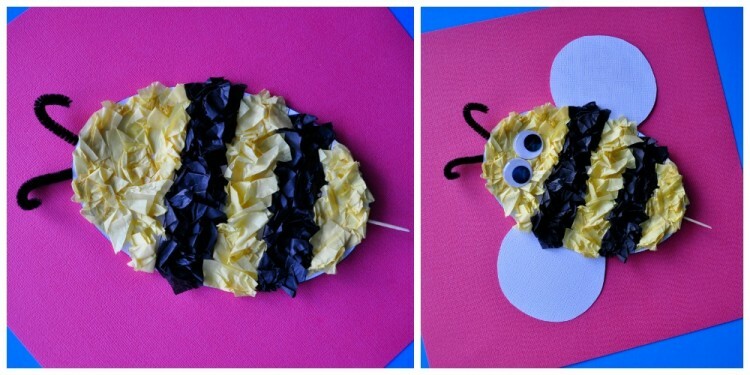 Finish your Bee by gluing your large googly eyes onto the front of him.